Water plumes were discovered on Jupiter’s moon Europa by the Galileo shuttle. This confirms there is water beneath the frozen surface. There is also the possibility to be able to sample the water without having to go to the surface of the moon. Scientists believe that underneath the icy crust of Europa there could be an ocean of life. The best way to study those possible lifeforms would be to drill through the ice and remove samples of the water. Europa is typical of the outer Solar System’s ocean worlds. They are satellites with water beneath several kilometers of ice. Sampling the water would be extremely expensive and present multiple technical difficulties. First, a shuttle would have to land on the icy surface, then drill several kilometers into the crust of the moon. There is the risk of contaminating the samples and multiple things can go wrong in the process of obtaining samples of the water. However, there are water plumes – columns of liquid flowing far above Europa’s surface. This was observed in 2012 and 2016 by the Hubble Space telescope, however, the observations were made at the highest resolution, so it is unclear if they were actual plumes, at the time. The Galileo shuttle provided clear evidence of the plumes on Europa. The shuttle studied Jupiter and its moons from 1989 to 2004, in an altitude below 400 km. The magnetic instruments on the Galileo detected magnetic waves and plasma, which was interpreted as a plume. Following the path of the shuttle, it was discovered that the magnetic waves coincide with an area of abnormally hot temperatures. This can only be explained by the transportation of heat from below the crust to the surface of the moon – a plume. This information is helpful to NASA’s Europa Clipper and the ESA’s Jupiter Icy Moons Explorer that will be in Jupiter’s atmosphere in the 2020s and 2030s. They will be able to study the plumes closer and hopefully sample the water. The explorer spacecrafts will also observe the Enceladus and Titan moons for extraterrestrial life forms. They are frozen moons with a subsurface of water. Jupiter’s moon, Europa is one of the most promising places to possibly find life forms in the subsurface ocean. The Galileo shuttle was first sent to Europa in 1995. A fresh look at a 1997 flyby suggests the spacecraft flew through a plume of water. According to Elizabeth Turtle, research scientist at Johns Hopkins Applied Physics Laboratory in Laurel, Maryland, the subsurface ocean is likely the most habitable place on Europa. It is warmer and protected from radiation by the icy surface. NASA’s Europa Clipper will be launched in 2022. 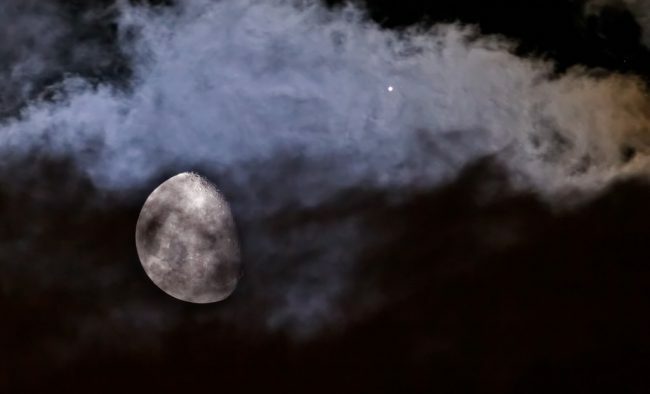 Its mission is to investigate Jupiter’s moon up close. It will perform 40 to 45 flybys, imaging the surface at a high resolution. The plan is to examine the composition and structure of the icy shell and the interior. Scientists want to know if the moon is inhabitable. If so, it will possess the three ingredients needed to support life: liquid water, chemical ingredients, and sufficient energy sources that can enable biology.